Posted on May 12, 2014 by Clare Cooks! I have a tendency to buy things in bulk. It’s next to impossible to say no to three pounds of baby spinach at Costco for under 4 bucks. The only downside is three pounds of baby spinach is a lot of baby spinach. So in another effort to clean out the fridge, I have attempted to add spinach to everything. This isn’t a recipe so much as it is an idea of flavor combinations and the possibilities are really endless. I really love this dressing, especially when paired with the sweet mandarins. It was a great combination. I also found this salad to be surprisingly filling. It made for a great lunch. I think the addition of grilled chicken or shrimp would easily make it into a wonderful dinner. If I was to make this salad again, I think adding crumbled feta and dried cranberries would be delicious. Strawberries, granny smith apples, or pecans would also be good substitutes (or additions too). Place spinach on plate. Top with orange segments, as many onions as desired and almonds. Top with vinaigrette. Combine all the ingredients in a small bowl and whisk together until throughly mixed. Use immediately. Will keep for 1 week in fridge. Posted on May 8, 2014 by Clare Cooks! This week I am sharing some of favorite brunch recipes. I absolutely love brunch and summer weekends seem to just demand them. These recipes don’t demand too much cook and can mostly be prepared ahead to time, which gives you more time to relax, enjoy your weekend and enjoy some extra mimosas with your friends. This frittata is pretty much perfect if you ask me. It’s easy to make, it can help you clean out your vegetable drawer and it reheats wonderfully. 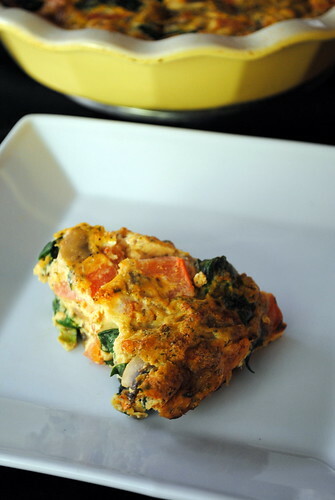 I just used the vegetables I had on hand, but you can add just about anything you want to this frittata. Broccoli, bell peppers, jalapeños or fresh herbs, like basil or chives, would all be great additions. Heat the oven to 375 degrees F. Grease a baking dish (I used a 9 inch pie dish). Heat 1 tablespoon olive oil in a large skillet over medium heat. Add the onions and sauté until beginning to brown. Then add the green onions, mushrooms and garlic and cook until mushrooms begin to soften, about 5 minutes. Add tomatoes and spinach. Sauté for an additional 1 to 2 minutes or just until the spinach is wilted. Season the vegetables with salt and pepper. In a medium bowl, beat together the eggs, cheese, salt, and pepper. Finish cooking in the oven for 25-35 minutes, until the eggs have completely set in the center. Posted on April 28, 2014 by Clare Cooks! Last weekend I popped up to San Francisco for a quick visit with friends and my blog and computer decided they wanted a vacation too. Technical problems seem to be resolved for the most part, so let’s get back to it. Cinco de mayo is rapidly approaching and since I like any excuse to eat Mexican food, I plan on taking full advantage of the fact this week. Most of these recipes aren’t super traditional or exactly authentic, but they are delicious enough for any fiesta. This queso is super tasty. I added some of my favorite spring ingredients (mushrooms, leeks and spinach) and they really added a lot of flavor to the queso. They mushrooms added a great earthy flavor, which worked really well with the tangy goat cheese. 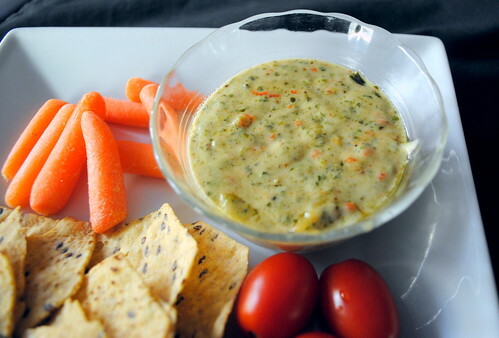 I served my queso with tortilla chips, but it would also go well with veggies, crackers or bread. My oven, like all the other machines in my life, has also been a bit temperamental lately (had to get the igniter replaced… again…), which has changed my oven’s personality somewhat. It seems to be cooking a bit lower or slower (I’m still trying to figure it out). After 25 minutes the queso was definitely bubbly and ready to serve, but there was absolutely no color to the top of it, which made it look like a blob of boring, white cheese. It’s not a requirement, but I like a little bit of a brown crust on my baked dips. It took me at least 35 minutes to get any type of color to the dip and as you can see in the picture it still came out a bit splotchy. Despite my odd requirements for baked dip coloration, the end product was delicious. Preheat oven to 375°F. In a large skillet, heat oil over medium heat. Add leeks and onion cook until softened and starting to brown, about 10-15 minutes. Add mushrooms and cook, stirring frequently, until mushrooms have released their liquid and are dry and lightly browned, about 10 minutes. Add chopped spinach and cook until just beginning to wilt, about 1 minute. 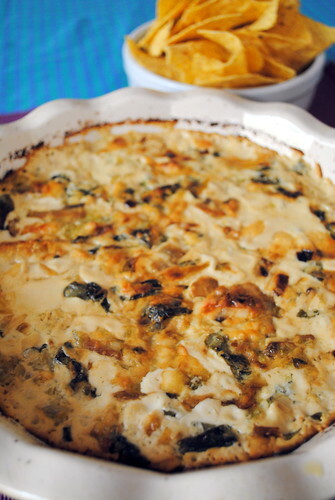 Spread leeks, mushrooms, spinach over the bottom of a small ovenproof casserole or gratin dish. In a large bowl, combine goat cheese, Jack cheese, and chiles and mix until combined. 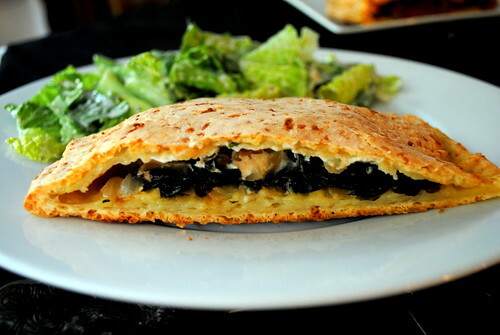 Spread cheese mixture evenly over mushrooms and bake until bubbling, about 25-35 minutes. Serve hot. Posted on August 27, 2013 by Clare Cooks! I started the fall semester yesterday morning. In order to recover from the trauma, I’m taking a long weekend trip (can 6 days really be considered a ‘long weekend’?) up to San Francisco to visit some friends. What better excuse that to share some tried and true San Francisco favorites. This dish is a San Francisco classic. It originated in the 1930’s at Original Joe’s. Even though the dish is a classic, I had to put my own spin on things. I substituted extra-lean ground turkey for the ground beef. I used a ton of garlic (10 cloves, but they were all pretty small) and fresh basil and oregano from my garden. I have to admit that I like the fact that the eggs are not the main focus of this egg dish. I feel like the egg is just there as a loose binder rather than the main feature. 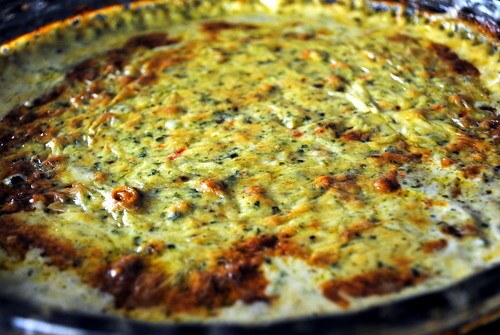 It makes for a nice change from a traditional Quiche or frittata. It also makes the dish much more adaptable to meals outside the morning hours. In true San Francisco style, Joe’s Special is traditionally served with sourdough. I have yet to discover gluten-free sourdough, so I served my scramble with a couple slices of gluten-free toast (Canyon Bakehouse is my favorite at the moment). Not quite the same as sourdough, but it did the job. I made Joe’s Special for Sunday Brunch over the weekend and this morning I heated up the leftovers for breakfast. It was even better! 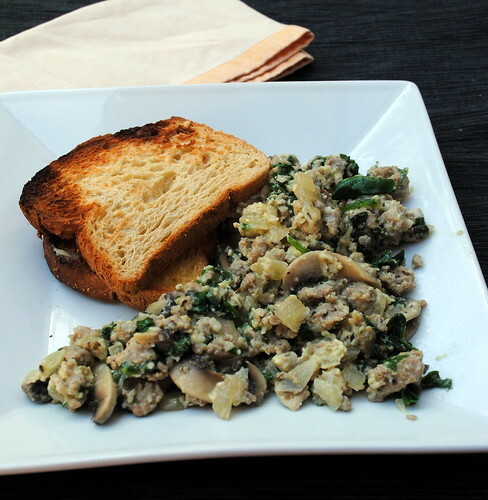 This would be a great made-ahead meal for brunch or for anytime you want to have a meal that you can reheat in a hurry. Crack the eggs into a small bowl and add the Tabasco, salt and pepper. Whisk to combine. Set aside. In a large skillet heat the oil over medium heat. Add onion and cook until beginning to brown. Add in garlic and cook until fragrant, about 2 minutes. Add in ground turkey; cook, stirring, until browned and all moisture evaporates, about 10 minutes. 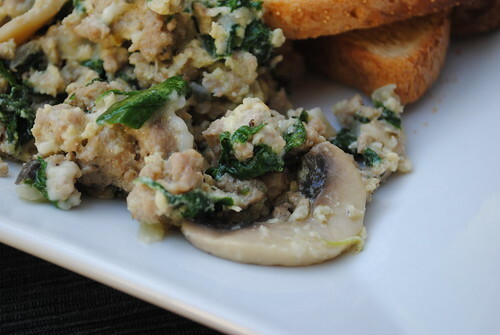 Add mushrooms; cook, stirring, until beginning to soften. Add spinach; cook, stirring, until wilted. Add eggs; cook until eggs are cooked and mixture is slightly dry, about 4 minutes. Season with salt and pepper; sprinkle with Parmesan. Serve with bread. Posted on August 26, 2013 by Clare Cooks! My wonderful friend Zack sent me this recipe last week and told me to “stop what I was doing and make this”. Zack and I have fairly similar palates, so I had a feeling that I would like this salad. I didn’t just like this salad, I loved it. I have yet to find a combination of cilantro and lime that I dislike, so I might not be the most neutral judge, but this salad was pretty close to perfect. Chickpeas make a really great neutral base, which allows the other flavors to really shine through. I ended up accidentally doubling recipe. I was trying to use up some use it or lose it spinach, which ended up being way more than the originally suggested four cups. It turned out to be a fortunate accident since I had leftovers for days. I upped the amount of garlic and took it easier on the olive oil. I also omitted the sugar the original recipe called for, but that’s just a personal preference. I never add sugar to any type of dressing. Chop the spinach very finely (feel free to use a food processor and pulse 3-4 times). 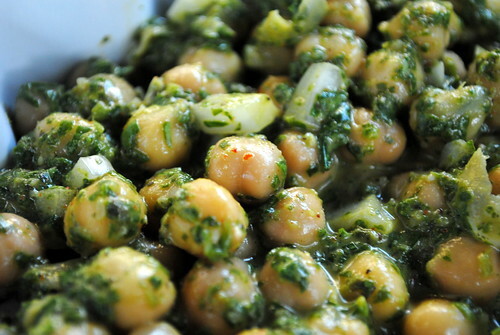 Add the chickpeas, onion, and spinach to a large bowl. In the same food processor add the lime juice, cilantro, mustard, garlic, chili powder, and olive oil. Blend until it comes together into a dressing, about 30-45 seconds. Pour over the chickpea mixture and stir to combine. Add salt and pepper to taste. Let sit for at least 15 minutes on the counter (or overnight in the fridge) to let the flavors get friend. Posted on April 9, 2013 by Clare Cooks! Back when I was living in Budapest, there was this amazing Greek restaurant that I loved to go to. It was right on Danube and had a wonderful patio during the summer and was nice and cozy in the winter. At the time I was also a pescatarian and trust me when I say it can be a challenge to find tasty vegetarian options in a land full of szalámi and gulyásleves. (I never quite understood where fish in a landlocked country came from, so I either didn’t question it or steered clear completely.) Between good veggie dishes and an excellent wine list, it was one of my favorite places in Bp. I have really had a hankering for Greek food recently. Unfortunately nearly every dish I could think of involved pita or phyllo… While attempting to make gluten-free phyllo dough sounds like a wonderful challenge, unfortunately I just don’t have the time or patience to attempt it. Being the resourceful type that I am, I took a look around the kitchen and decided to improvise. I made the executive decision that corn tortillas would make a perfect substitute (might sound strange to some, but corn tortillas are a staple in these parts, plus they are gluten-free and are very handy for holding/transporting food). 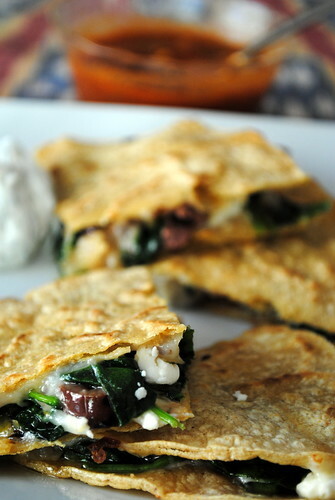 Spanakopita quesadillas were the perfect (gluten-free) fix for a Greek craving. Not authentic by any stretch, but the flavors were there and they were so, so, so easy to make. I threw in a few chopped kalamatas for fun and I served up these quesadillas with some delicious tomato pasta sauce (Trader Joe’s Roasted Garlic) and some Greek yogurt mixed with dill and a few spices in an attempt to make a totally illegitimate tzatziki. I do kind of , sort of, like tzatziki, but cucumber in general makes my skin crawl, so plain Greek yogurt and dill, garlic powder, pepper and lemon juice was the perfect compromise. First make the ‘mock’ tzatziki. Combine Greek yogurt, dill, garlic powder, pepper and lemon juice. Set aside. Heat oil in large non-stick skillet over medium-high heat. When oil is heated add onion and cooking until translucent and starting to brown, about 6 minutes. Add in minced garlic and cook another minute or two until fragrant. Add oregano, black pepper and red pepper flakes (if using). Stir until mixed. Next add the baby spinach. Stir to coat and cook until spinach has wilted. Remove pan from heat and put the spinach mix into a bowl or plate and set aside. Wipe down the pan return to medium heat and spray with cooking spray (you can use a new pan, but why do more dishes?). Place one tortilla in the pan and heat. Flip over when warmed and sprinkle with 1/4 cup mozzarella. Top the cheese with half the spinach mixture, 1/4 cup of the feta and half the olives. Place another tortilla on top, spray lightly with cooking spray and use a spatula to flip the quesadilla over. Cook until the tortilla is warmed through and slightly crisp, about 3 minutes. 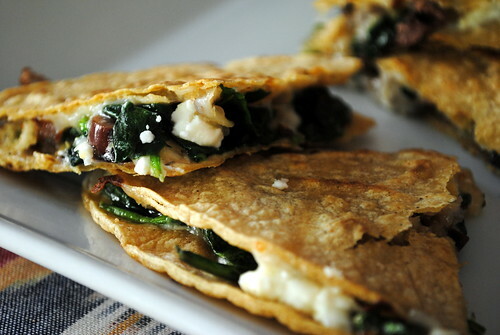 Repeat with the other tortillas to make a second quesadilla. Posted on March 18, 2013 by Clare Cooks! This soup is phenomenal. It might actually be one of the best things I’ve made recently. And it’s soup-er easy (sorry, just can’t resist a bad pun)! A bit of chopping and boiling and you have a delicious meal. The flavors are just amazing together. Granted paprika, onion and garlic are probably my favorite flavors, but really they were just made to be in this soup together. The original recipe called for kalamatas. I ran out last week and much to my extreme disappointment, my Costco has decided to stop stocking them… At the rate I go through olives, kalamatas are just too expensive to be bought in any quantity less than Costco-sized bulk. I used green pimento stuffed olives and they were wonderful. Since they are so salty, I made sure to use low-sodium broth and didn’t add in any extra salt. It definitely was not needed. I absolutely loved this soup. I definitely plan on making it again, hopefully the poor weather keeps up and it will be repeated sooner, rather than later. Even though this soup was great, I might make a few minor changes. I think the paprika could have used another flavor to combine with. I was thinking a bit of cayenne maybe or a squeeze of lemon perhaps or even a little drizzle of balsamic. Just a little addition could add a whole new layer of depth and deliciousness. Adapted from The Punk Post Kitchen. Heat oil a large soup pot over medium high heat. Saute onions in oil until translucent, about 5-8 minutes. Add garlic and saute about a minute or so, then mix in the thyme and paprika. Add the lentils, broth, and pepper. Cover and bring to a boil. Once boiling, turn heat to medium and cook for 25 minutes, stirring occasionally, until lentils are almost tender. Add the tomatoes. Bring to a boil, then lower heat to simmer for another 20 minutes or so, or until lentils are very tender. Add spinach and olives and stir frequently until spinach is wilted and velvetty. Add water or more broth to thin, if necessary. Posted on February 12, 2013 by Clare Cooks! I will fully confess this salad was made out of desperation. I got a little overzealous at Costco and bought a 5 pound bag of baby spinach. It was $3.79, seemed like such a great idea at the time. Do you know how much baby spinach is in a 5 pound bag of baby spinach? FIVE pounds. Do you know how hard it is to come up with new ideas to use up 5 pounds of baby spinach? Real hard. There are only so many green smoothies and sautéed spinach one can consume. I have gotten to the point I just google spinach and any other random ingredients I can think of and hope something worthwhile comes up. I’ve been hitting a lot of duds, but I really lucked out with this one. I personally don’t like super oily vinaigrettes (or oily anything), so I tend to skimp on that. I just couldn’t get a taste I liked with just the limes for acidity, so I added in a bit of white wine vinegar to try to get the flavors to blend a bit better. Perfect fix. I added the feta at the last minute (an other Costco purchase that needs to be used… I need to stop doing this to myself). I think it gave the salad a tangy bite that worked really well with the other flavors, but it’s not essential. Leaving it out would still make this one amazing (and vegan) salad. I also have to admit I am totally embarrassed by the fact that I took the time to cut the strawberries into hearts. Who does that? It’s a cheesy cute idea for a Valentine’s Day salad if you have the need for such a thing. This salad is definitely tasty enough to share. 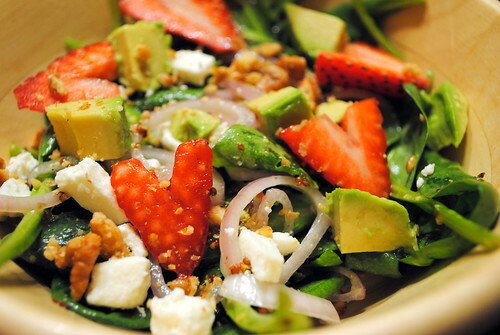 In a large serving bowl, add the spinach, strawberries, shallots and feta. In a small bowl whisk together the olive oil, lime juice, grainy mustard, salt, and pepper. Drizzle the dressing over the salad. Sprinkle on the walnuts and add the diced avocado. Posted on January 28, 2013 by Clare Cooks! Now that I’m kind of, sort of , nearly over my never-ending mystery illness (just can’t shake this sore throat), let’s get back to business. It’s the Super Bowl next Sunday. Normally, I would be super excited and looking forward to it, but considering I have not watched a single football game (of any kind or level) this year, I’m really not into it. That being said, I do love any excuse for a party and parties must have food and drinks. I can always get behind party planning. This week I’ll be sharing some recipes perfect for your Super Bowl weekend. Apparently there are people in this world who do not like garlic and don’t care for brie. Fortunately, I don’t know anyone like that, but if you are a little wary of the amount of garlic in this dip, fear not. When garlic is roasted, it gets this more caramelized, almost nutty flavor, which is much more subtle than fresh garlic. If you don’t like brie, well I really can’t help you all that much. Maybe substitute goat cheese? This was the first time I had ever used pimentos in anything or even had them outside of stuffed olives. I was hoping they would give the dip just a little extra kick or something to keep the taste buds happy. Maybe they just got too chopped up in the food processor, but they didn’t really bring much to the overall taste. I think I would stick with real hot sauce or chili powder if a subtle heat. You could actually serve this dip two different ways. I decided to go with hot, but the end result was a little more fondue-y than I would have like. Once it cooled down about 5 or 10 minutes, it was the perfect consistency. I also tried it before I baked it and it was pretty close to perfect. I should have left it, but I really wanted a hot dip… You can definitely make this ahead of time, but remember to take it out and let it soften. It is brie base, so it will definitely need to soften. Preheat oven to 350 degrees. Cut top 1/2″ off the top of the garlic heads. Remove some of the loose, papery skin, leaving the heads intact. Place each on a square of tinfoil, drizzle each with the olive oil (about 1 teaspoon each), and wrap well. Bake 50-60 minutes, until the garlic is very soft and begins to brown. Cool until easy to handle. Squeeze each head to into a mixing bowl to remove the soft roasted cloves. Be careful to avoid getting any of the garlic skin/paper in the bowl. In a large skillet, add the remaining olive oil and heat over medium. When oil is shimmering, add the spinach and cook until wilted. Add in the green onions and cook until just softened. Remove skillet from heat and set aside. Attempt to drain any excess oil if necessary. In a food processor, process Brie cheese and cream cheese with the seasoned salt, pepper, and garlic cloves. (You can also cream these ingredients together using the back of a spoon and a lot of energy.) Refrigerate several hours to blend flavors. Serve with crackers, crostini, and sliced French bread. In a food processor, combine Brie cheese and greek yogurt with the seasoned pepper, garlic cloves and pimentos. Add in the spinach and green onions. Pulse in the food processor until blended. This dip can be served either hot or cold. For cold: Refrigerate several hours to allow flavors to blend. For hot: Bake in 350 degree oven for 30 minutes. Allow to cool slightly and serve. Serve with crackers/sliced bread/tortilla chips/veggies. Posted on December 1, 2012 by Clare Cooks! Earlier this week I got it into my head that I really wanted a calzone. I can only remember having a calzone once before, but for some reason I wanted one now. Start to finish these took about 40 minutes to make, so definitely a good possibility for a weeknight dinner. The spinach and Boursin was definitely the favorite out of these two. 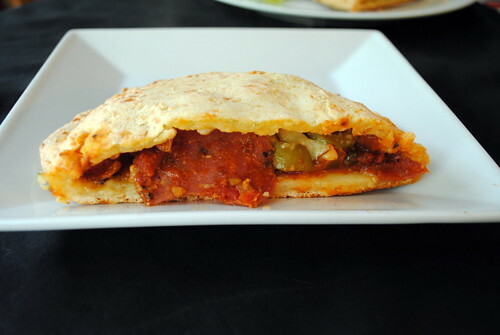 The salami and olive calzone was good, but just had a lot of flavors going on. I served them with my favorite Casear salad and a little extra pasta sauce on the side for dipping; it was the perfect combination. Since I wanted to be a quick and painless process, I cheated and used a box of Chebe Garlic Onion Breadstick Mix for the crust of the calzones. They had a recipe for mixing and using the crust which I followed, but I really wish I only partially followed it. 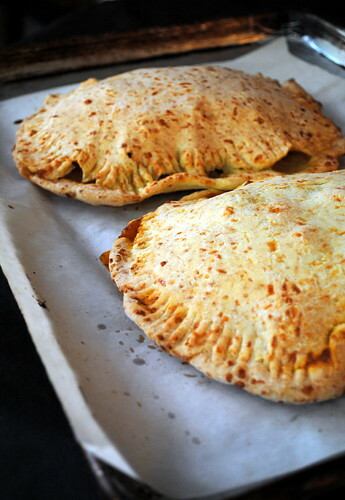 Their recipe yield two GIANT calzones. There was absolutely nothing wrong with them, except that they were huge. We got 2 meals for 2 people out of each, but I think I would have preferred making four smaller ones. It is the same amount of food, but I think four smaller ones would make the leftover and re-heating situation much easier (and additional filling options). Heat olive oil in large skillet over medium heat. When oil is hot, add in onion and cook until softened and translucent, about 5 minutes. Then add in spinach and cook until wilted. Blend Chebe Garlic-Onion Breadstick Mix with 2 tbsp. oil, 1 cup shredded cheese* (optional; sharp or hard cheeses work best) and 2 large eggs. Slowly blend in exactly 1/4 cup water or milk*/milk substitute. Knead dough with hands until it is smooth. After mixing the dough, pat the dough into a think round. Split this round in half, and split the halves in half, to make four hunks of Chebe Bread dough approximately the same size. On a piece of wax paper, spread one of the rounds out to a very thin layer, using your fingers and the heel of your hand, or using a rolling pin. You want this very thin, but be careful that there are no holes in the dough. You don’t want any of the fillings escaping from the center during baking. Flip the dough round on a non-greased baking sheet. Cover with 1 to 1 1/2 cups of filling and cheese leaving edges clear so that dough will seal. Flatten the next dough round per the instructions above. Flip the flattened round on top of the bottom round and the filling. Crimp the edges together with your fingers, being careful not to create any holes in the dough. Then, using the tines of fork, press the edges together all the way around the dough. If the fork sticks to the dough, dip it in cold water. This will secure the edges and give the calzone a finished look. Pop into a preheated oven at 375° F and bake for approximately 30 minutes or until nicely browned. (Suggestion: brush the outside with olive oil before baking.) Let cool about 5 minutes and serve. Flip the dough round on a non-greased baking sheet. Cover with a layer of salami, a handful of olives 1/2 cup shredded cheese and 1 cup pasta sauce leaving edges clear so that dough will seal.